Soft, gentle and ever so soothing. Letting Go is total inner peace in musical form. In Letting Go, serene choir sounds float gently through the air. This simple, heartwarming music moves very slowly and gently, and never strays too far from the main musical theme that you hear in the previews. There are no unexpected twists or turns in the music, so it will never jolt you out of a state of deep relaxation. Letting Go was not designed to be "entertaining", it was designed to be like a pillow for your mind - a soft, gentle soundscape that you can listen to over and over again. 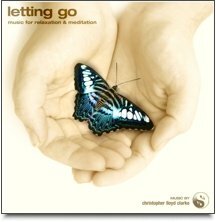 Letting Go has always been one of our most popular downloads, simply because it is so calming. This beautiful music is will help to wash away every last drop of tension from your body and mind, allowing you to slowly sink into a state of deep relaxation.